Taking cues from skincare, KEVIN MURPHY products are weightlessly designed to deliver performance, strength, and style longevity. At KEVIN MURPHY we care about the ENVIRONMENT and make every effort to do our part to help the environment, including utilizing packaging that is recyclable or biodegradable. Now sold in over 43 countries globally, KEVIN MURPHY has become known for its high quality, high performance, skincare-inspired products that work for stylists and their clients-on set or in salon. Brazilian Blowout: Customizable treatment that improves health of hair, and leaves it frizz free lasting up to 12 weeks. Can be used on all hair types, wash and style same day. 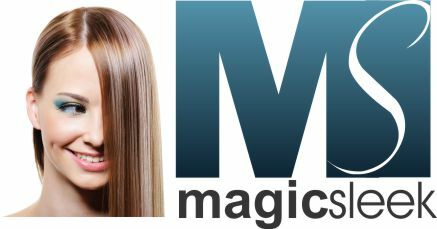 MAGIC SLEEK: A straightener that softens, restores life to lifeless hair. NO FORMALDEHYDE or harsh chemicals, many natural ingredients. TRISOLA: Straightens/smooths hair in 90 min lasts 3-6 months. Able to wash and style the same day. Recommended for fine hair.